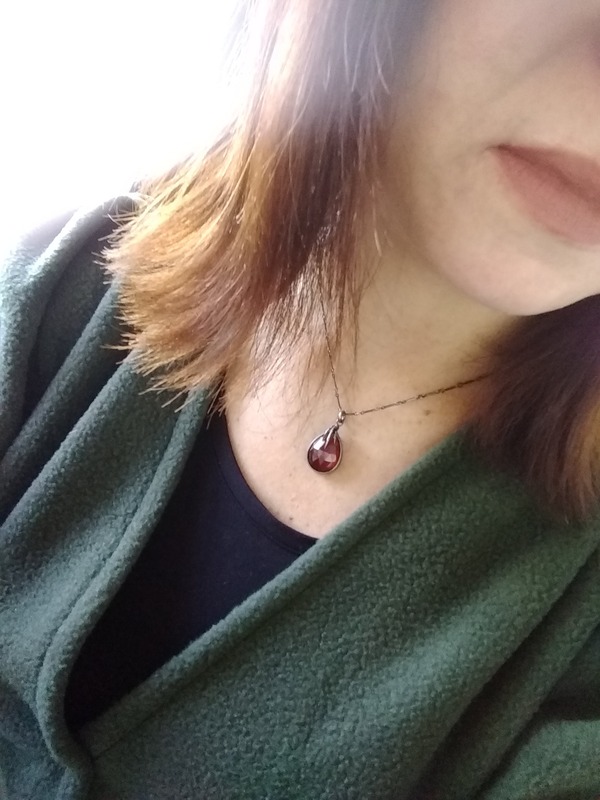 My garnet Eyrie pendant is a real beauty! So precious! As usual, it is even more beautiful in person. And Charlotte is such a nice person and talented artist! Merci! As a returning costumer I۪ve been amazed with each piece of jewelry I۪ve bought here. As a returning costumer I۪ve been amazed with each piece of jewelry I۪ve bought here. And this one is no exception. I۪m especially in love with the labradorite and its wonderful flash ranging from different shades of green to yellow-brown and aqua. Coincidentally, it matches my eye-color perfectly :) As usual, I had no problems throughout the whole transaction and couldn۪t be happier! Thank you so much! My sister absolutely loved her birthday gift. Such great craftsmanship and the stone is gorgeous. It makes me want one for myself! Thanks again.